Dr Patrick McConvell has worked on Australian Indigenous languages, especially in the west of the Northern Territory and the Kimberleys and Pilbara of Western Australia. Apart from grammar and dictionary work he is interested in the maintenance of languages, and in the shift to Kriol, code-switching and mixing of languages. He has been involved with the setting up of the Kimberley Language Resource Centre, and training of Indigenous language workers at Batchelor Institute. Dr McConvell has taught linguistic and social anthropology and has a major interest in the relationship between language, society and culture. Apart from ACLA, his current research interests are: Gurindji Grammar and Dictionary compilation, linguistic prehistory of Australia and investigating the past with the aid of linguistic evidence, and traditional relationships to land in the Victoria River District NT and North Queensland. 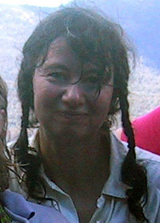 Dr Samantha Disbray has worked as a linguist in Central Australia since 1998, with Centre for Australian Languages andLinguistics at Batchelor Institute of Indigenous Tertiary Education and for the Institute for Aboriginal Development (IAD), training Indigenous Language Workers in English and vernacular literacy and language research, before becoming a researcher for the Aboriginal Child Language Acquisition Project (ACLA) (2004-2007). 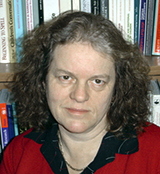 She completed her PhD at The University of Melbourne in 2008, with a dissertation on the development of children's discourse skills in a contact variety, Wumpurrarni English. After completing the ACLA project, Dr Disbray took the position of regional Linguist with the Northern Territory Department of Education, providing professional learning and support to teachers of Indigenous languages and English as an additional language or dialect. Since 2013 she has been a Senior Research Fellow at The Northern Institute, Charles Darwin University, working on the Remote Education Project. Her research interests are Indigenous Languages - traditional and contemporary in remote Australia, the provision of education to remote school in Northern Australia and the Northern Territory Bilingual Education Program. 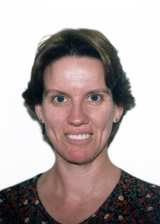 Dr Felicity Meakins worked as a community linguist at Diwurruwurru-jaru Aboriginal Corporation (Katherine Regional Aboriginal Language Centre) between 2001-04. She joined the Aboriginal Child Language project (The University of Melbourne) in 2004 as a PhD student. She completed her PhD in 2008 and continued documenting Gurindji, Bilinarra and Gurindji Kriol as a part of the Jaminjungan and Eastern Ngumpin DOBES project and then with an ELDP grant at the University of Manchester. Dr Meakins currently holds an ARC grant looking at the contact process which went into the formation of Gurindji Kriol. She is the author of Case-Marking in Contact (Benjamins, 2011), Bilinarra to English Dictionary (Batchelor Press, 2013) and a co-author of A Grammar of Bilinarra (Mouton, 2013, with Rachel Nordlinger), Gurindji to English Dictionary (Batchelor Press, 2013 with Patrick McConvell, Erika Charola, Norm McNair, Helen McNair and Lauren Campbell) and Bilinarra, Gurindji and Malngin Plants and Animals (LRM, 2012 with Glenn Wightman). Karin Moses, who conducted the research at Yakanarra, first worked in an Aboriginal Community in 1988 when she was appointed to the position of post primary teacher at Kulkarriya, the independent school at Noonkanbah. She has also worked as a lecturer for Batchelor College in what was then known as the Remote Teacher Education Programme, firstly in Tennant Creek and then at Yirrkala. 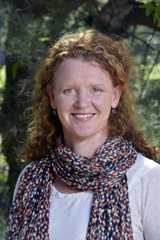 Karin completed a Masters in Applied Linguistics in 1995; her thesis focused on the interaction between the bilingual children and their monolingual teacher in a small Alyawarr community at Epenarra. Her interest in this project stemmed from her concern about the way in which mainstream pedagogical language use and practice disadvantaged Aboriginal children. Although research into classroom practice and the Aboriginal child has been conducted over a number of years now, very little is based on a detailed study of Aboriginal language use; even less is based on data that focuses on pre-school Aboriginal children's language use. This project provides an exciting opportunity to understand something about the way in which Aboriginal people at three different locations use language with their small children and how these children become accomplished language users themselves. Such an insight into language practice could contribute much to our knowledge about the relationship between language and learning, and could have implications for improved teaching practice. 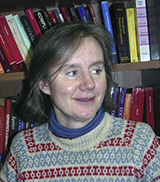 Professor Carmel O'Shannessy is an Assistant Professor in Linguistics at the University of Michigan. 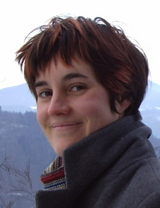 Her PhD is from the University of Sydney and the Max Planck Institute for Psycholinguistics, The Netherlands. She has been involved with Lajamanu Community since 1998, first working in the Two-way Learning program in the school (1998-2001), and since then visiting annually for research. Before going to Lajamanu Community she spent two years in a Kriol-speaking community, Ngukurr, as a lecturer with Batchelor Institute of Indigenous Tertiary Education (BIITE), working in teacher education (1996-7). She was an ESL and elementary school teacher for several years prior to that. In her research she examines the complex linguistic situation in Lajamanu Community from multiple perspectives, including the children's acquisition of multiple codes, differences in speech styles across ages, documentation of Light Warlpiri, and of traditional Warlpiri songs. Light Warlpiri is a mixed language, a type that occurs rarely, and it has some unique features, specifically innovative structures in the verbal auxiliary system. The similarities and differences between Warlpiri and Light Warlpiri are especially interesting, as is the way in which Light Warlpiri is developing. For more details about her research please see the Carmel O'Shannessy web page.